Earn free daily PokéCoins and Stardust in Pokémon GO. 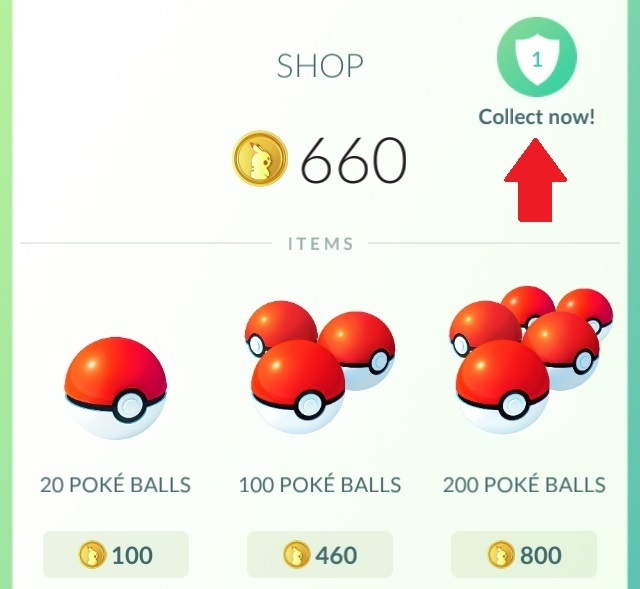 PokéCoins are the primary in-game currency of Pokémon Go. Players can exchange PokéCoins in the Shop panel to obtain additional consumables such as Poké Balls, Incense, Lure Modules, and various other items. For this guide, we will briefly explain how players can earn free PokéCoins daily without having to spend any real-world money on app purchases. In Pokémon Go, there is only one way to go about getting more PokéCoins, and it involves defending gyms. Upon reaching Level 5, trainers can begin participating in gym battles and claiming gym turf for their chosen team. Assigning Pokémon to a friendly gym will improve the gym's defenses by increasing its prestige and member slots. The more powerful Pokémon a gym has assigned to it, the more competitors a rival trainer must overcome before being able to claim the gym for themselves. Trainers can earn a Defender Bonus for each day that one of their Pokémon successfully defends its gym from competitors. The Defender Bonus consists of 10 free PokéCoins and an additional 500 Stardust for each Pokémon assigned to a gym. To join a gym, you will need to place one of your Pokémon into a gym that is either unclaimed or has an open slot for new members. Unclaimed gyms are completely up for grabs and appear grey on your map. All other gyms will be claimed by one of the three gym teams, and you can only assign a Pokémon to a gym held by your team color. Once you find a gym that belongs to your team, tap on the gym and check for an open dot beneath the gym level header. If the dot is hollow, that means there is a slot available for you to join. Tap the icon in the lower corner and select a Pokémon to place at the gym. Choose a Pokémon with a fairly high CP to improve its chances of defeating rival trainers. Alternatively, trainers can take over a rival-held gym by defeating each of the gym’s defending Pokémon and lowering the gym's prestige. If a trainer is able to reduce the gym’s prestige to zero, the trainer can then place a Pokémon into the gym to claim it for his or her team. Once the gym becomes neutral, watch out for other nearby usurpers who may try to slip their Pokémon into the gym before you do. A Defender Bonus is awarded for each Pokémon that successfully defends its gym in a 21-hour time period, which is basically once per day. After assigning a Pokémon to a gym, open the Shop panel and look for a Shield icon in the upper right corner. The number within the Shield indicates how many Pokémon you have currently stationed at gyms. Keep an eye on the countdown timer, and be sure to collect your Defender Bonus by tapping on the Shield icon each day. Players can have up to 10 Pokémon defending gyms at a time, and these assigned Pokémon will be unavailable for use in battles until their gym is defeated. Join up with friends of the same gym team to efficiently take down rival gyms and claim new turf for your team. Head over to our gym guide for more details on winning gym battles in Pokémon Go.